Our attractive pet feeder's old world antique finish and shabby chic appearance will please both pets and their owners alike. The aged look contrasted with its two removable stainless steel bowls creates a refined and unique look. 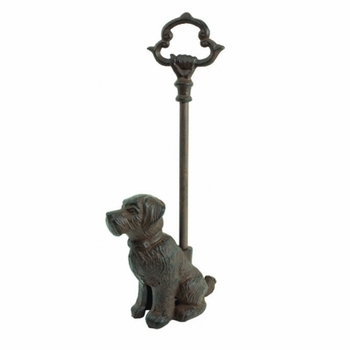 This item would go perfectly with one of our rustic pet beds. Contains: Includes 2 quart size stainless steel bowls.